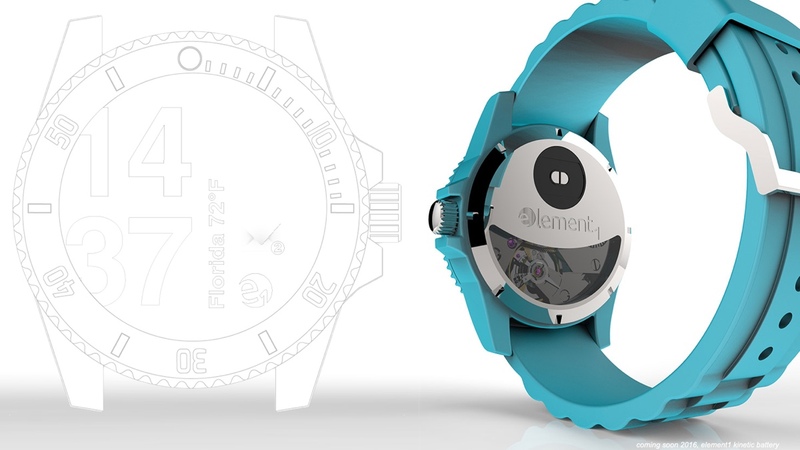 The Element 1 could well be the first smartwatch that doesn't require charging; the battery on board the device, which has just hit Indiegogo, is fuelled by kinetic energy. A common ingredient in many traditional timepieces, the kinetic battery is charged by a user's natural movement, so there should be no need to ever plug it in. The circular smartwatch, which appears to be running a fork of Android (Google Maps is seemingly on board), features smartwatch notifications, as well as calendar reminders and incoming call alerts. On the health and fitness side it will count your steps and has a stopwatch for activity and workout tracking, and we're informed that heart rate monitoring is on board too, but there's no mention of a specific sensor. What we are told is that the Element 1 smartwatch will be compatible with iOS, Android and Windows Phone devices, and will have 2GB of storage for storing digital music – with playback controls on the device itself. The 1.33-inch LCD display boasts a semi-decent 240 x 240 resolution and both Bluetooth and Wi-Fi are packed in for wireless syncing. Available in four different colours, the company behind the Element 1 are very eco-conscious – with a promise that suppliers are only considered if they have good green credentials. Taking the earth-saving to a new level, the box the smartwatch will come in even doubles up as a cereal bowl and there's a wooden spoon packed inside. Exactly. On paper (recycled, obviously), the Element 1 sounds an interested prospect. However, we've been burned one too many times by Indiegogo based smartwatch concepts to get our hopes up too soon. Shipping is expected to start in December, so we'll keep our expectations in check until we see models actually hitting people's wrists. If you fancy wearing one, $99 is the pledge you need to make.